If somebody had told me that this weekend would turn out the way it did, I would have stayed home. After having to cancel on my fishing buddies on a bass fishing trip on Friday, we set up an impromptu trip to the same spot on Saturday afternoon. 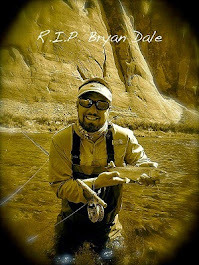 I made some new fishing buddies on a facebook page that I co moderate along with four other guys. Two of them, Charles and Lalo, invited me to a secret spot that they call “the pits.” Saturday was at about 106 degrees so we waited until about 6:30 to hit the fishing hole. We arrived and I was pretty impressed with the Pits. 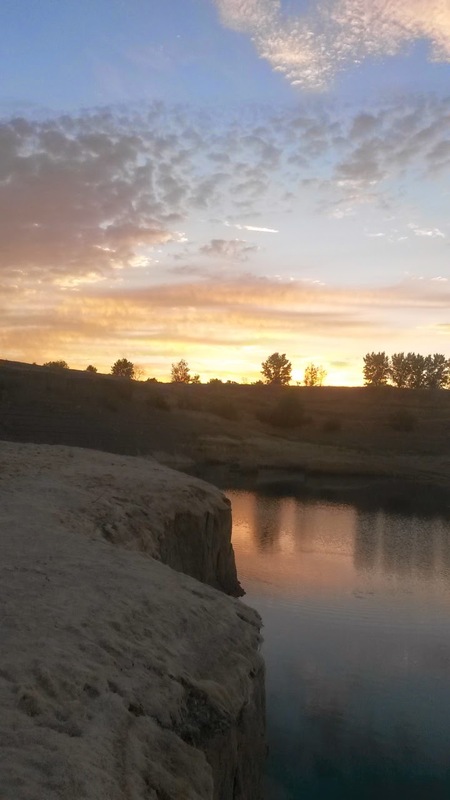 The place was a large pond/ small lake that looked to be about 20 ft deep with very steep banks. There was about a 7 foot drop from where we were to the water. Along the banks you can see a bunch of bass hanging out holding at about 5-7 feet down. Lalo drew first blood with a River to Sea minnow. But that was all the bites he would have on that minnow. A bit later Charles got into another one with a minnow imitation. Then all went silent for them and my turn came. I went through a bunch of different lures before trying a green and silver cast master that I had. 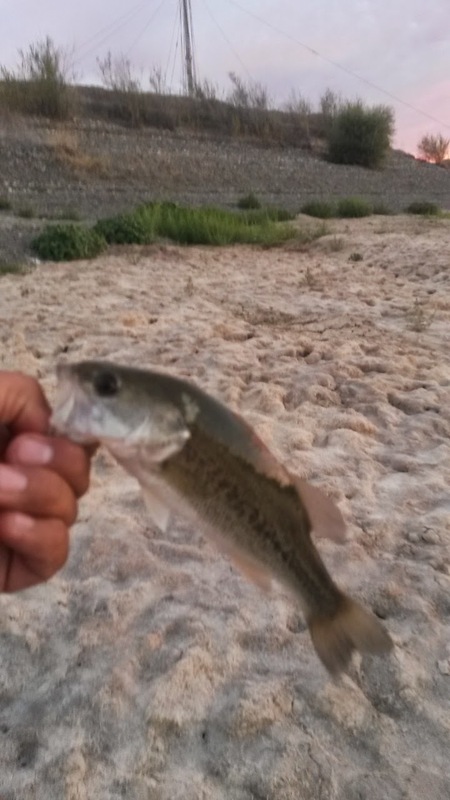 I ended up catching three small before it got too dark to fish. Charles caught one more and then we went home. The next day we woke up extra early for what was expected to be an epic fishing trip/ tournament and in one way it truly was. The fishing crew was composed of Charles, Lalo, Alex, Rafel, and me. We had set up this fishing tournament a week before. This spot belongs to Alex and Lalo and is considered sacred to them. They have pictures of HUGE stripers, bass, and catfish that they catch at this spot so all of us were excited for the potential. We went to two different spots. At the first one Rafael nailed four small cats before any of us had even set up our poles. Alex ended up getting into one small striper and I caught my first cat before busting out my fly rod and showing Rafael a little bit about fly casting. I purchased some bass bugs and was tossing them out but there were no takers. We ended up switching to a new spot to try for catfish. 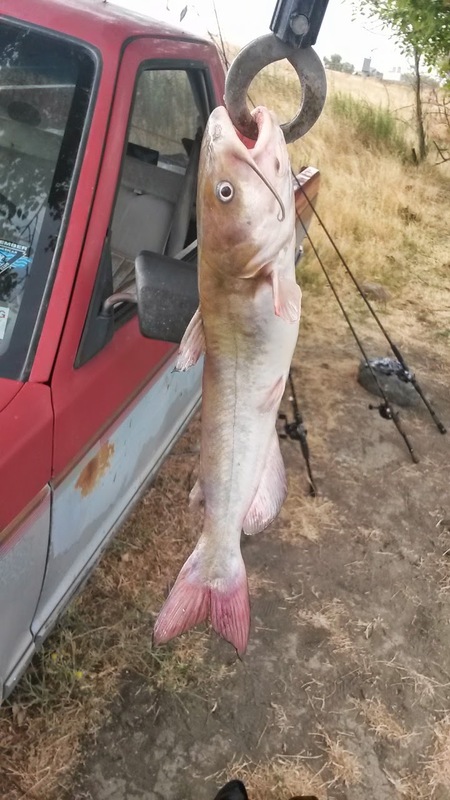 I put my fly rod away and set up one rod with a bobber and the other with a bottom feeding rig for catfish. Now remember, this was a tournament between moderators from our facebook group so the deal was to catch size or numbers. Nobody was really getting into any size but I ended up taking off with the numbers. 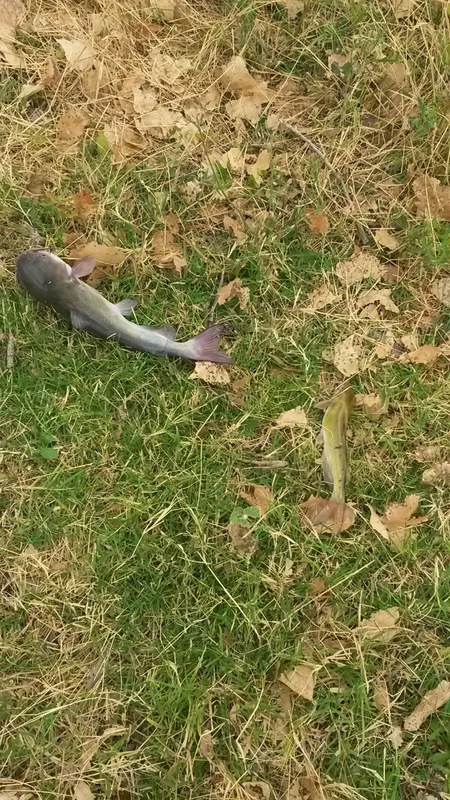 Both my panfish set up and my catfish set up caught catfish. 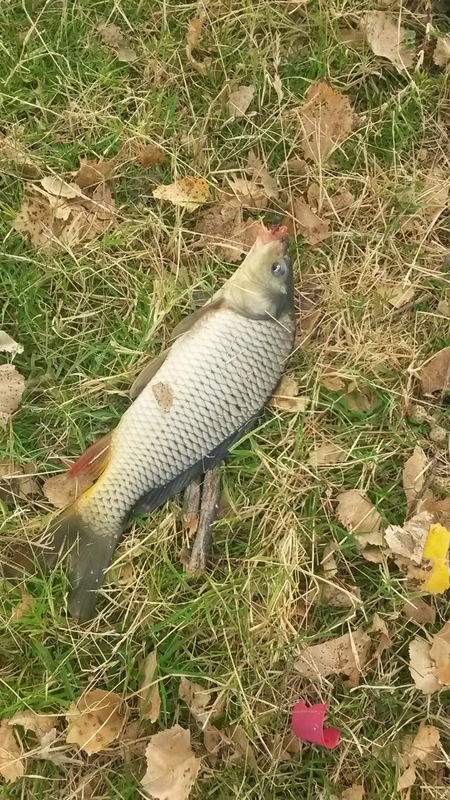 I also ended up with one carp which is my first of the year. And the winner with a combined total of 9 fish: ME! 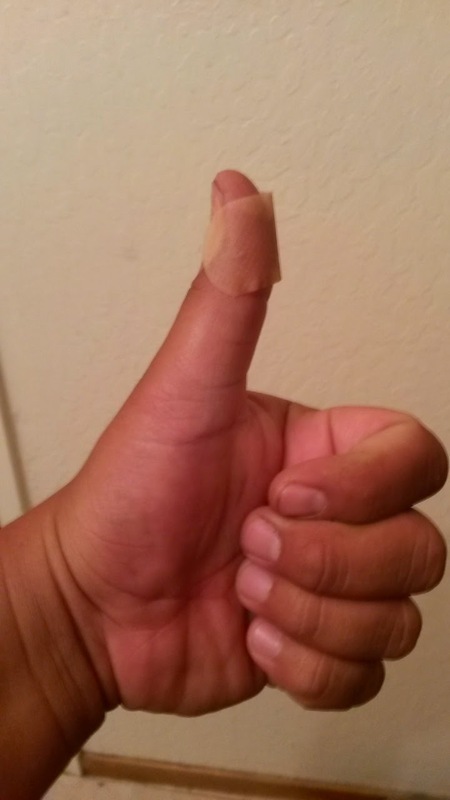 My prize: a hook in the F*%$#ing thumb! This happened when I picked up a rattle trap out of Charles’ truck bed and it got stuck on something. I lifted, one hok got stuck, the other went straight into my thumb. One trip to the ER, a Tetanus shot and $400 later, I’m A-ok! I guess this happens to all fisherman at some point, kind of like a right of passage or a badge of honor for all fishermen. Play along so I don’t feel like an idiot, folks! Lol. In the comments, feel free to share stories of times when you hooked yourselves! 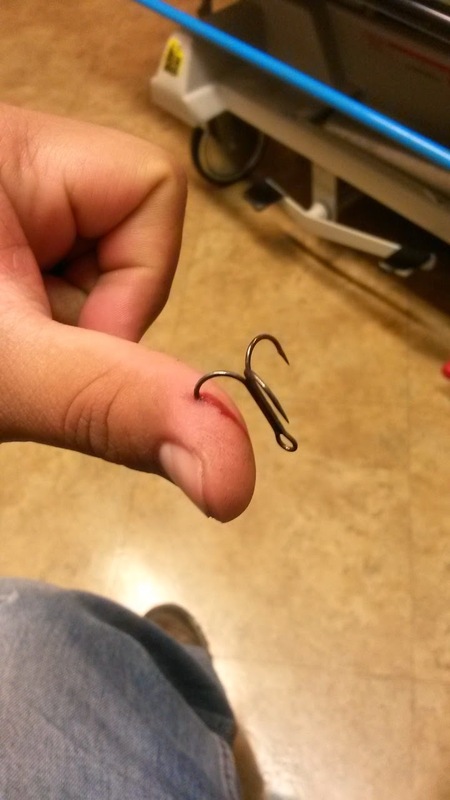 You went to the ER to have them pull that little hook out of your thumb? Weenie. Last finger I had hooked like that, I pulled it out with a pair of pliers, put a little Neosporin, a band-aid and was back fishing in ten minutes. Weenie. I'm sorry, I can't fish with a weenie. OK, maybe I'll fish with you again, someday. Mark, you're supposed to be my buudy, my homie, my road dog! Lol I went to the er because it was on a sunday. It was a large treble from a large ratl trap and I didn't have a tetanus shot! That's my story and I'm sticking to it. If your friends can't harass you, who can? Was going to comment on the fishing post and your successful weekend, but alas, I will just say "Ouch"! Indeed. that was one expensive fishing trip!